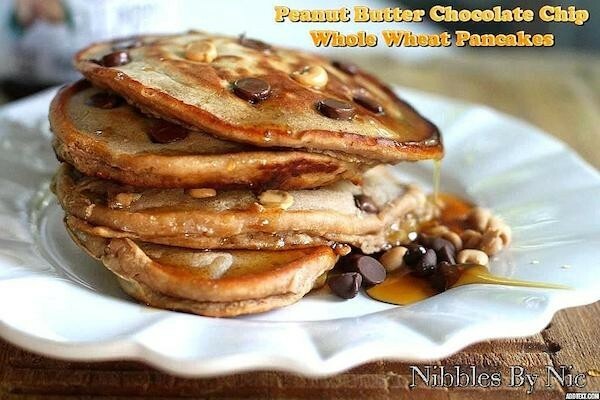 “Peanut Butter Chocolate Chip Whole Wheat Pancakes! !” Even typing the words makes me drool. My daughter requested this interesting, yet so perfect combo one day and was shocked that I had never dreamt it up before! I mean talk about a Reese’s Peanut Butter Cup on serious breakfast steroids! 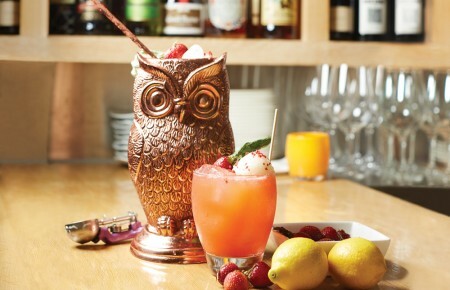 So fantastically decadent and delish that it has actually become one of my most famous go-to brunch-y company treats. Whisk together eggs, milk, peanut butter, Nutella, apple sauce & vanilla in a small mixing bowl. In a larger mixing bowl combine flour, salt, baking powder peanut butter chips & chocolate chips. Heat pan and add butter to a griddle pan. Gently pour the pancake batter onto the pan into circles. Wait for each to bubble and flip. Drizzle with warm syrup and garnish with a couple chocolate chips and peanut butter chips on top.